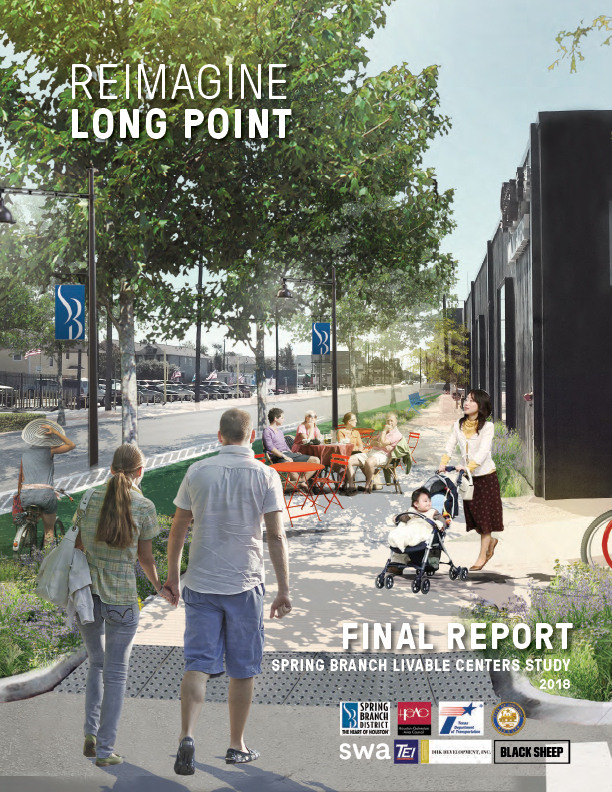 Reimagining of Long Point Livable Centers Study is complete. More and more families and individuals are choosing Spring Branch as their home. Since the 2010 census, the population has grown from 107,700 to 120,600 thousand and is expected to continue to grow at 1.37% per year! That’s 12,900 new consumers and a total of 120,000 and counting who want more retail options, more services and more restaurants! 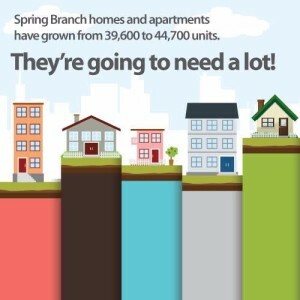 Both single-family and apartments have grown from 39,600 to 44,700 thousand units in Spring Branch. That translates into a lot of new furnishings and appliances that people will need for their new homes! New homes in Spring Branch now range in price from $296K to 1,560K. With more disposable income than ever, Spring Branch residents will be spending a lot more on retail goods and services! There are 61 active new single-family subdivisions in Spring Branch. 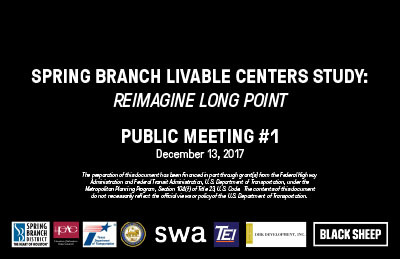 What businesses will set up in Spring Branch to meet their needs? The smart ones. So, how much do consumers spend in Spring Branch? Last year alone, Spring Branch households spent an impressive $1.7 billion on retail goods and services. All signs indicate that this number will only continue to grow with the population! Make a smart business move. Set up business in Spring Branch! With the help of the Spring Branch Management District, Spring Branch has steadily risen in popularity and price and for good reason. It offers an incredible location, great schools and room to grow. 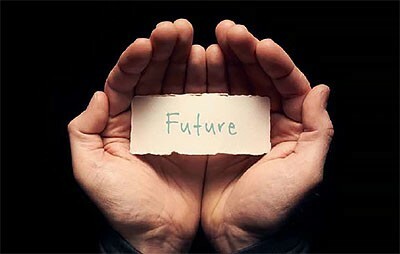 A surge is occurring in economic development, average incomes are rising and the needs of the community are quickly changing. Make your move today! The Spring Branch District was lead sponsor of the Houston Business Journal’s recent Commercial Real Estate Power Breakfast where an all-star panel of Houston office market experts spoke candidly about the state of the city’s office buildings. See who attended and find out what the panelists had to say. Check out our community-inspired plans for improving the District and driving growth in a sustainable way.